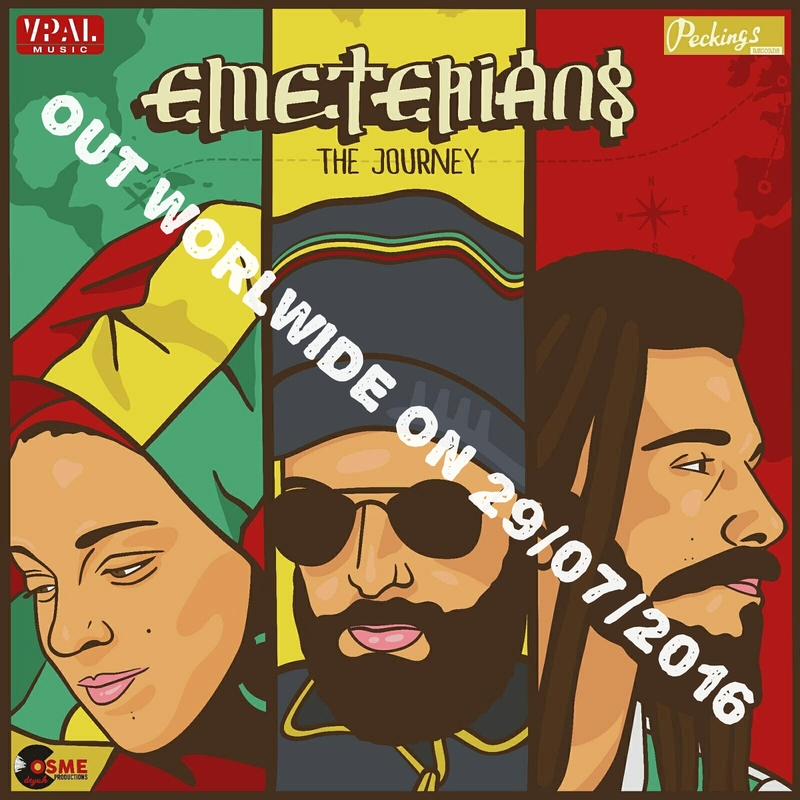 Peckings Records and VPAL Music present the new album from Spanish vocal trio EMETERIANS, «The Journey». Worldwide DIGITAL release on 07/29/2016. CD and Vinyl in August. Brother Wildman, Sister Maryjane and Maga Lion have taken the unusual step of sharing lead vocals and harmonies, each singer having unique vocal qualities that compliment their plethora of tracks. Formed in 2004, Emeterians moves to London in late 2012. After positive links and with the help of Spanish producer Cosme Deyah, they meet Chris Peckings and decide to start a project together. After one year working on the album, «The Journey» was created. 12 original songs on some of the best Studio 1 Peckings riddims and a tribute to Abyssinians «Y Mas Gan», complete this 13 track LP. Produced by Chris Peckings and Cosme Deyah, «The Journey» is a trip through many of the Reggae golden eras, from Rocksteady and Lovers Rock to Roots, Dub and Revival. It also describes the vital and spiritual journey of the vocal trio. 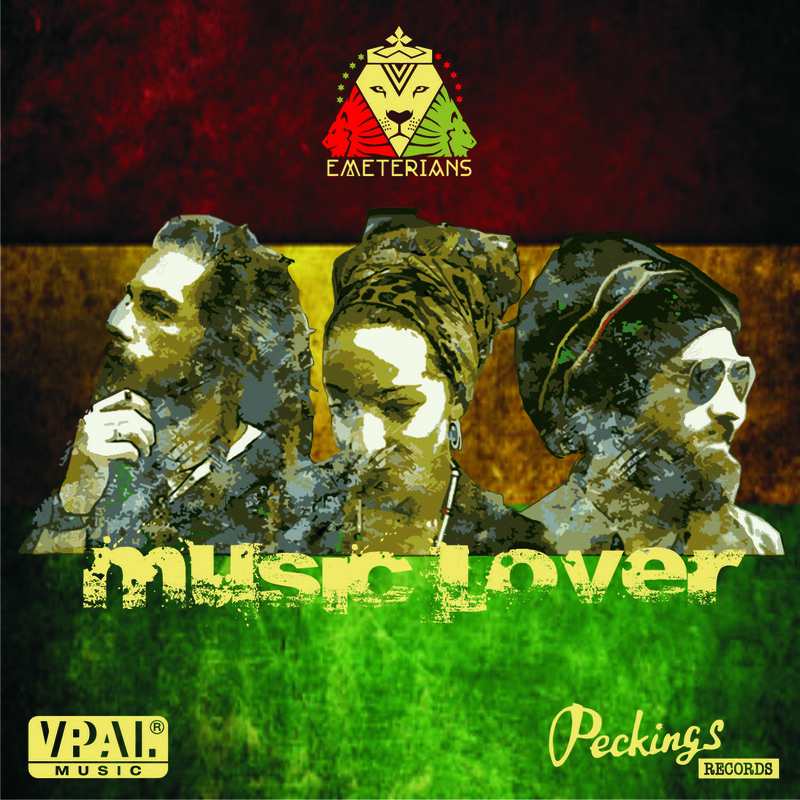 Songs like «Journey what matters«, «Come back» (featuring Patrick Matic Horns) or «Feeling good«, with a great Rocksteady influence, will make you travel through Jamaica of the late 60`s and early 70´s. In cuts like the single «Music lover» or «Have Faith«, you can feel the Roots vibe. On the other hand tracks like «Hardest thing to say» (featuring Dean Fraser on Sax) or «Spiritual revolution«, remind us of the importance of Dub and Soundsystem Culture, essential for spreading music… «Love revolution«, «Who run this World» (featuring J.Martín Boix on guitars and Lázaro Barrizonte on the sax) or «Lead the way» are deeply influenced by the new Revival scene, reminding us of the Roots and Culture, but with a new sound and vibe. Vocals recorded at Oktopus Music London (BBMC) by Cosme Deyah and mixed at Stingray Studios by Dillie McLeod, two of the most legendary studios in the UK. Album mastered at Lion & Fox Studios (Washington DC) by Mike Caplan. Distributed worldwide by VPAL Music, project manager: Donovan Williams. Art work by Mr John Vanilla. «The Journey», a complete, organic, energetic album, full of sweet harmonies and positive message. Journey never stops! Worldwide DIGITAL release on 07/29/2016, CD and VINYL in August.